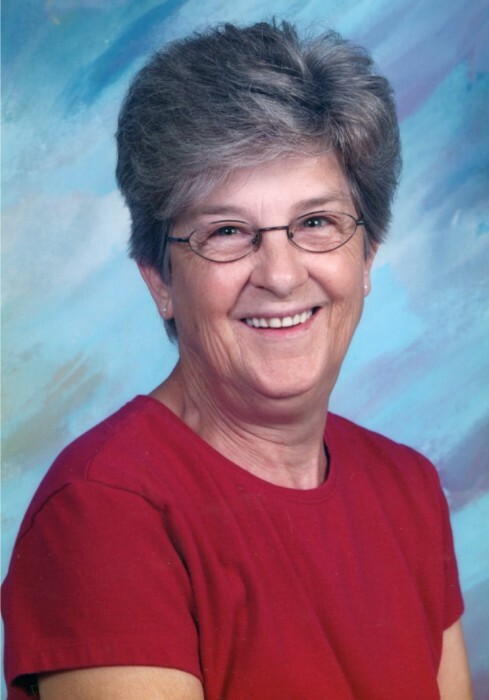 Joyce Ann Routt Druen, age 76 years, of Hodgenville, passed away, Monday, December 3, 2018 at Kindred Hospital in Louisville. She was retired from Nationwide Uniform Corporation in Hodgenville, former employee at Laugh-N-Learn Daycare in Hodgenville; where she was lovingly referred to as, “Grandma Joyce”; a member of Victory Baptist Church in Hodgenville and an avid University of Kentucky Wildcat fan. She was preceded in death by her husband, Orland Handley Druen; a son, Jeff Druen; two sisters, Myrtle Edith Jenkins and Helen Routt; a brother, Charles Edward Routt; her parents, Edward Thurman and Alice Burba Routt and a step-grandchild. She is survived by a daughter, Pamela (Gary) Poole of Vine Grove; a son, Phillip (Diane) Druen of Hodgenville; a brother, Donald Ray (Cathy) Routt of Campbellsville; four grandchildren, Shawn (Jennifer) Davis, Christopher Poole, Matthew (Melissa) Druen and Derek (Rachel) Druen; a step-granddaughter, Dawn Bryant; seven great-grandchildren; five step-great-grandchildren and three great-great-grandchildren. Funeral services will be held at 11 AM Friday, December 7, 2018 at Bennett-Bertram Funeral Home in Hodgenville with Bro. Claudie Long officiating. Burial will follow in the Mt. Zion Cemetery in Magnolia. Visitation will be 12-8 PM Thursday and after 9 AM Friday at the funeral home.